One thing is clear about this bag and that is the quality being absolutely top notch. The detail in the craftsmanship is some of the best I’ve seen and touched in tech gear. The weather proof zippers are strong and sturdy. 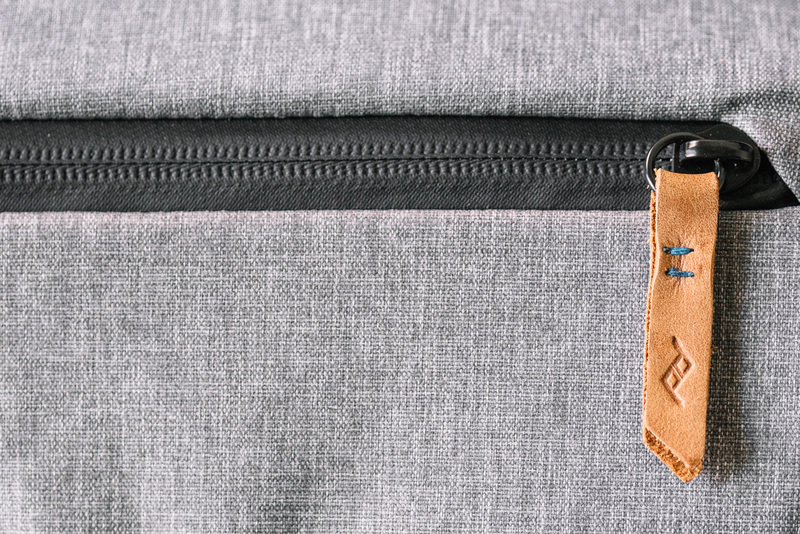 The durable fabric used looks and feels amazing, I am loving this ash grey color way. The sling strap, while skinny, feels secure and sturdy. Everything about this bag feels really well made. 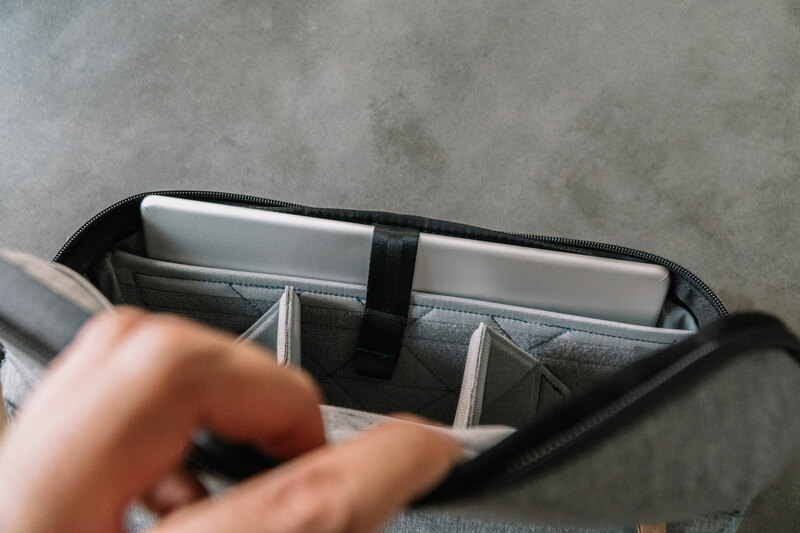 The Everyday Sling comes with 2 customizable origami-inspired FlexFold dividers which, in my opinion, are currently the best dividers for a camera bag. They are sturdy, fold down to create different sections and are thin while providing ultra protection for your gear. The padding is so efficient allowing the same amount of internal room as similar bags with a much larger exterior dimension. As mentioned earlier, the sling strap is quite skinny, however very sturdy. 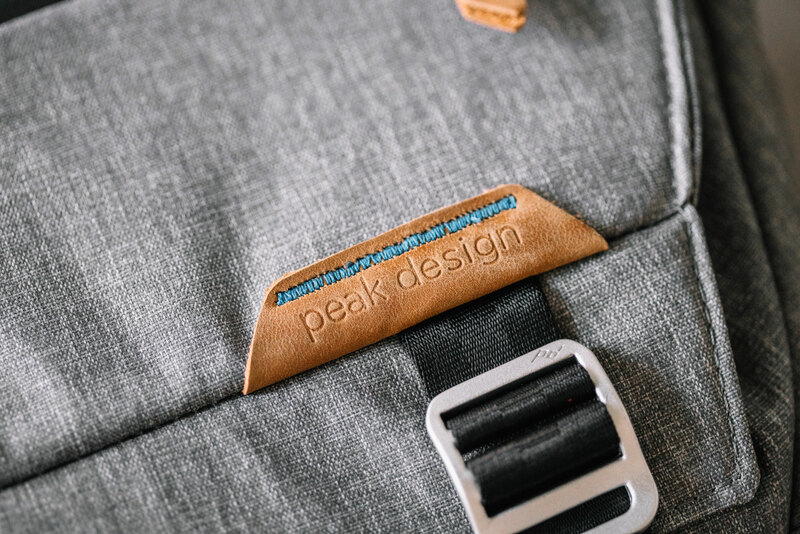 The strap adjusters make it so easy and quick to tighten and loosen the strap to your comfort. I like to wear my sling bags pretty tight on my back but love that I can loosen the straps quickly and easily to swing the bag around to the front or to take the bag off with ease. 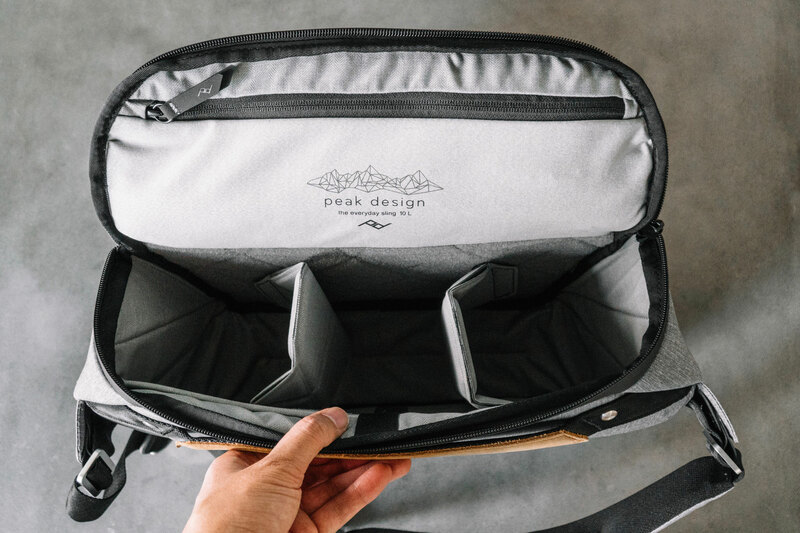 The expandable outer pocket lets you pack more if you want and there’s also an external carry system for things like a tripod. The back of the bag also has a large leather handle for easy pick up or placing on a rolling luggage handle. I also love that this bag packs flat. It’s not large enough to carry all my travel essentials so when I travel, I take a larger bag. But I’m able to pack this bag flat in my suitcase so it’s ready to go on my adventures. I really love the look of this bag. It can be worn with something casual, sporty or even dressy and still look great. 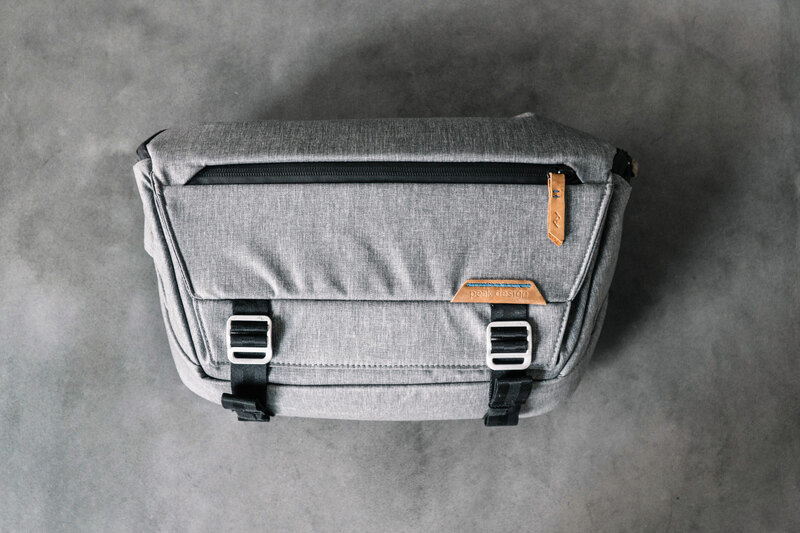 The ash color option is my favorite and hope they continue that color way with their Everyday Messenger, which I also have, though am not too fond of the color. I have yet to run the bag through it’s paces as I’ve only owned it for a little while, but comparing it to the other 50 bags I have, I can tell this will hold up really well for what I need. 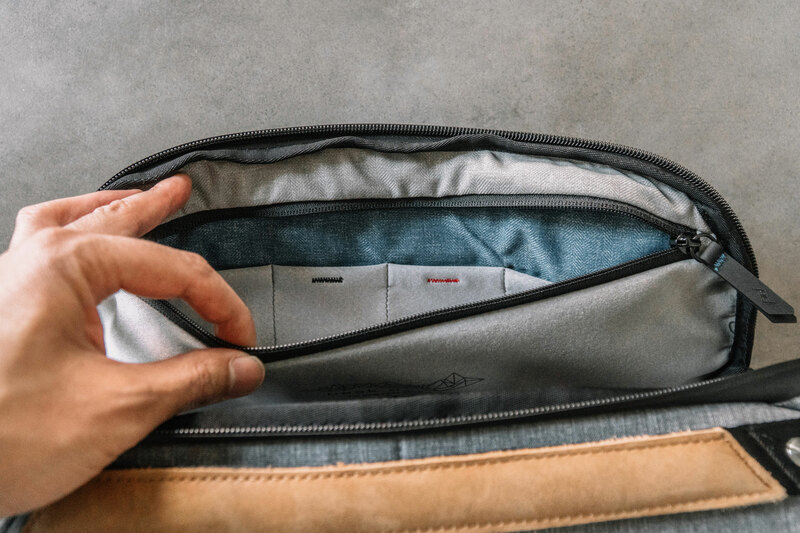 So if you’re looking for something that can carry a lightweight system all day, this might just be the perfect little sling. 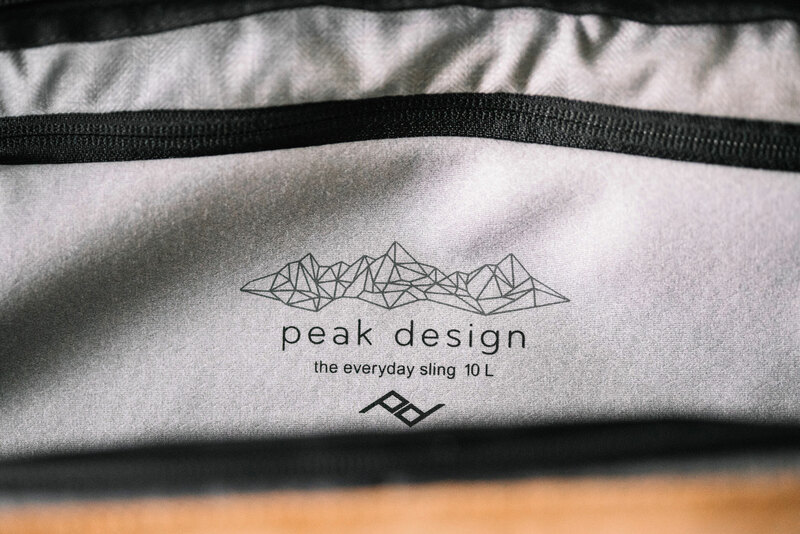 This entry was posted in Reviews and tagged Ash, Camera Sling, Everyday Sling, Everyday Sling Review, Gear Reviews, Peak Design, Peak Design Everyday Sling, Review, Reviews, Sling Bag, Tech Gear. Bookmark the permalink.